We are a retired mature couple , Non smokers . We enjoyed the experience of city life for a month as well as the pleasure of taking care of their chickens ,cat and rather large garden . 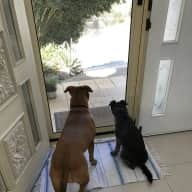 We have completed many house sits since joining the site which we have enjoyed taking special care of the precious pets of each home owner and of course keeping each home / garden clean and tidy just as we do in our own home . We are proud of our 5 star feedback and have been invited to do further sits for the homeowners where we have completed sits. We have enjoyed the experience of looking after ,a wide variety of pets They give us joy talking to / patting them and attending their needs ,and just watching their funny ways . 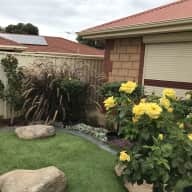 We find it a pleasure of walking through the garden of each house sit each morning , checking if anything needed attending to or watering ,as well as keeping the home neat and tidy while the owners were enjoying a holiday. We don’t have any pets at this stage and have really enjoyed the interaction with The pets during our stays . 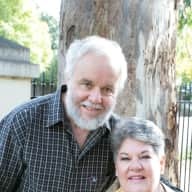 We enjoy travel and would like to travel to other cities and towns in Australia the near future to house sit. Apart from life in general experience,I believe we learned allot about house sitting from sits we have completed. We have paper references for the one and only time we rented a home..
We own our own home ..
We have further paper references related to my work as a carer of disabled people, which includes police clearances . 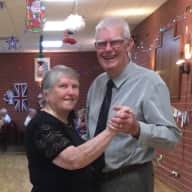 Kay and Ron have just completed a house sit for us and we were more than happy with the care of our home and pets when we returned. 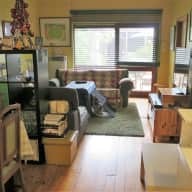 Our home was very clean and tidy and the pets happy. Our plants were all looking good even though there had been extended extreme heat during their sit. Kay had even cleaned out our sink cupboard for us which was unexpected but welcomed. 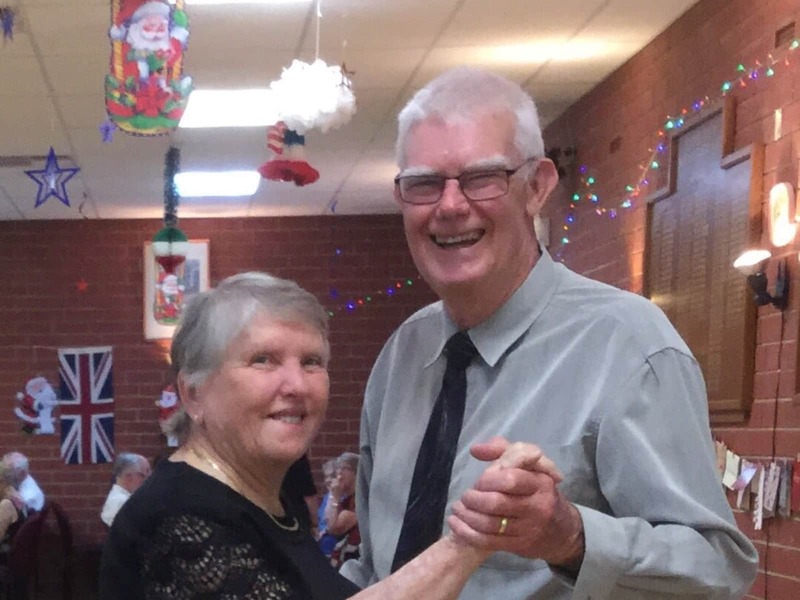 Kay and Ron are a friendly, capable, happy couple who are very organised and go out of their way to see that things run smoothly. We have met again since we returned home for a meal and our pets were excited to see them and we enjoyed their company. We have invited them to come back to sit for us again soon when we will be away for a couple of months, as we know we can trust them to take such good care of everything. We would not hesitate to recommend them as the best and trusted house sitters. Firstly a very big thank you, thank you, thank you to Kay and Ron! We had a last minute cancellation by another house sitter and with 48 hours to go, Kay and Ron saved the day!!! They were so helpful and nothing was too much trouble. They took wonderful care of our two dogs, lots of walks, attention, play for the younger one and love. They are both missing them now! They also gave them medication when needed too. Our home was super clean on our return, garden watered, and all the linen washed too!!!! 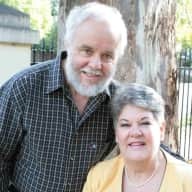 We have no hesitation in recommending Kay and Ron as house sitters, they were wonderful and gave us total peace of mind while we were away. We had Ron and Kay to house sit and mind our dog Jack while we travelled on holiday. 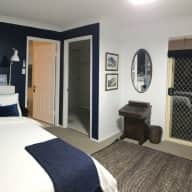 It was the first time I’d organised a house sitter and I really wanted someone who we could trust to care for our dog in particular but also our home. Kay and Ron are gold! They came with terrific references and Jack our dog warmed to them quickly. While we were away Kay provided email updates on Jack and photos. When we returned the house and garden was immaculate and Jack, while happy to see me, was looking for Kay and Ron, he really misses them! I wholeheartedly recommend Kay and Ron as Housesitters, they are a trustworthy, reliable and genuine couple.